My trips to California never cease to be opportunities for me to bring back a little something (or a lot) for us to enjoy here in Pennsylvania. More often than not, I stock up on fruits from dad's trees, and if I'm lucky enough to have found something at an antique shop, it too gets carefully packed up in my luggage for transport. An ordeal to be sure, but it's the only way to be certain there won't be any mishaps. This time around I found a variety of things at antique shops that I wanted to scoop up, many of which you've already read about, but I showed restraint because it would have been a nightmare trying to figure out how to ship everything. There were two items, however, which I simply couldn't leave behind because they would have bothered me for months had I done so. Keep reading to find out all about them! Lemons. 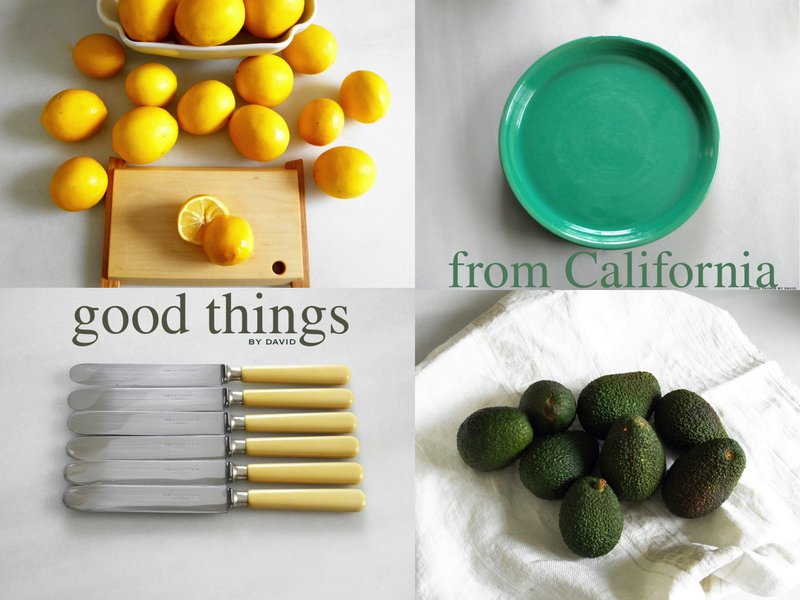 I can't write enough about my love for lemons! These tasty meyer lemons with their thin, fragrant skins and juicy insides, came from one of my aunt's who was visiting from Santa Barbara while I was there. The bunch sitting in that Apilco porcelain bowl was only a fraction of what my mother had in her kitchen right before I left. As much as I wanted to bring more, there really wasn't any room. That tiny cutting board from Asheville, North Carolina, was a gift from a dear friend this past Christmas and I've designated it my citrus board. It will get used for the cutting up of citrus and nothing else. 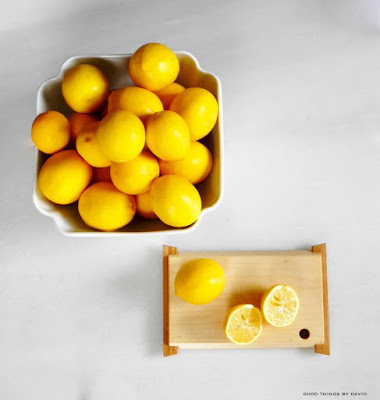 Meyer lemons are prized for their juicy, fragrant nature, which makes them suitable for many culinary uses such as vinaigrettes, drinks, desserts and in savory dishes. They're less acidic than their Eureka lemon counterparts. Yes, I do make lemonade with them, but I much prefer to have my Hot Lemon Drop Drink with a couple of these. 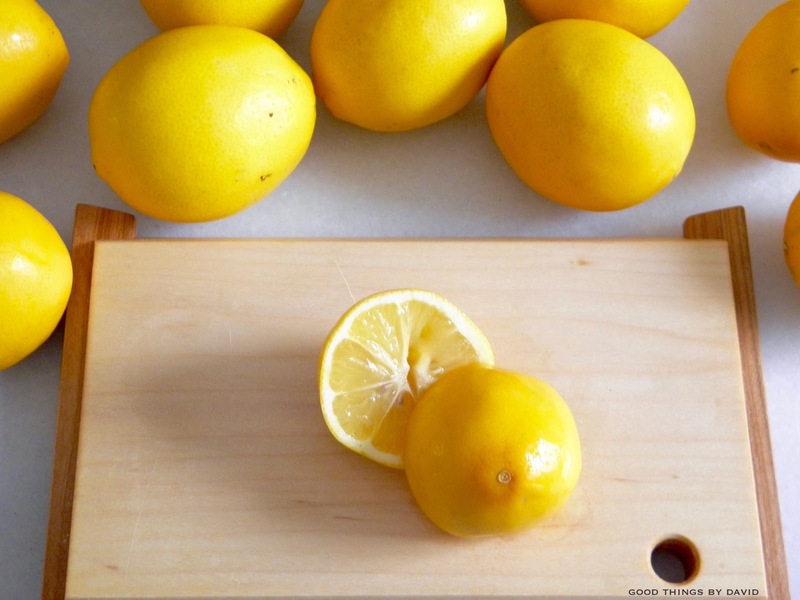 The zest of meyer lemons is perfect for candying, but it superb in cakes and cookies which call for lemon zest. These fruits are in season now and available at any supermarket. Look for them the next time you want to add a bit of zip to your dishes. What can I say? My father has always had a green thumb in the garden and these amazing and delicious avocados are a testament to his care and patience. A couple of years ago he decided to plant some Hass avocado trees and this time around mom and dad were rewarded with hundreds (no joke) of these delicious fruits. Again, can you believe that I only picked 8 of them? 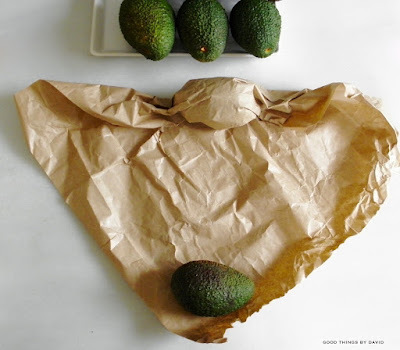 We've been enjoying one or two of them a week, and I've hastened their ripening by placing a couple of them in butcher paper. Rolling and wrapping two avocados at a time is a good way of ensuring perfection in no time at all. 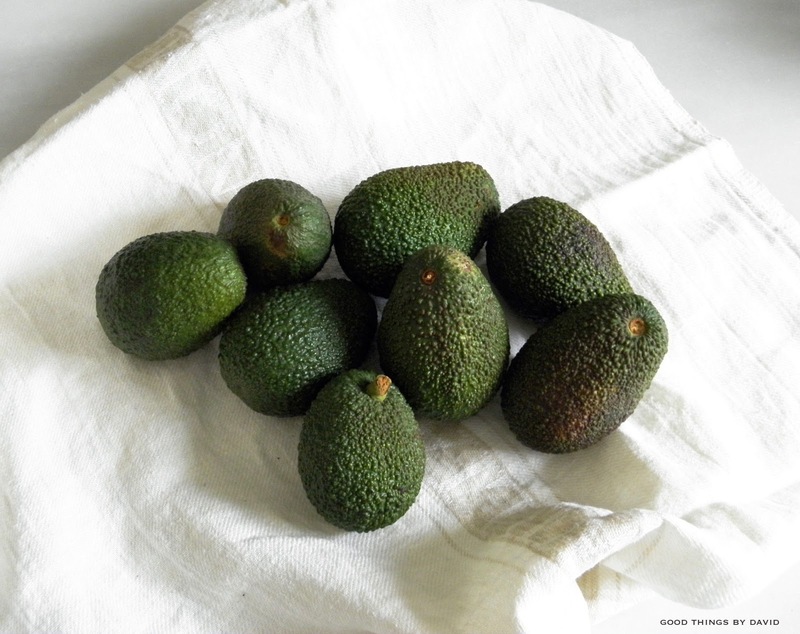 These have been so good in guacamole, thinly sliced in sandwiches and as a topping for toast. I can't get enough of them. Thanks dad! At first glance I thought that this was a large platter, so I asked the shopkeeper at the Pasadena Antique Center if I could inspect it. It turns out that there were two of them in the display case! Its jade color, which is so alluring to me, is what caught my eye as I was scanning the crammed displays. My immediate thoughts were: "I can see cakes, cookies and other desserts sitting here with or without a glass cake dome. They would blend in with my existing ceramics and Fire King....."
At a little over 13" in diameter (I had a tape measurer with me), these round ceramic plates seemed extraordinary to me. Not only did I love the color, but their generous proportions and their heft (they're quite heavy) made me want to take them home. The high rims were just right. 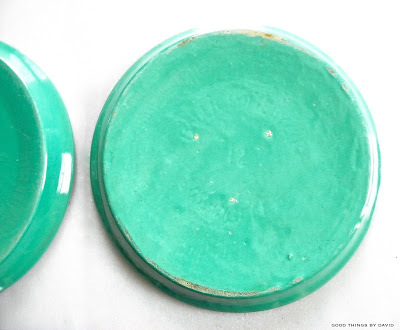 These pieces were completely glazed in that rich jade color, both on top and on the bottom. The left plate had no markings to identify what it was, but this one on the right did. Barely legible, the plate had engraved, "Bauer Pottery Co., 12, Los Angeles". 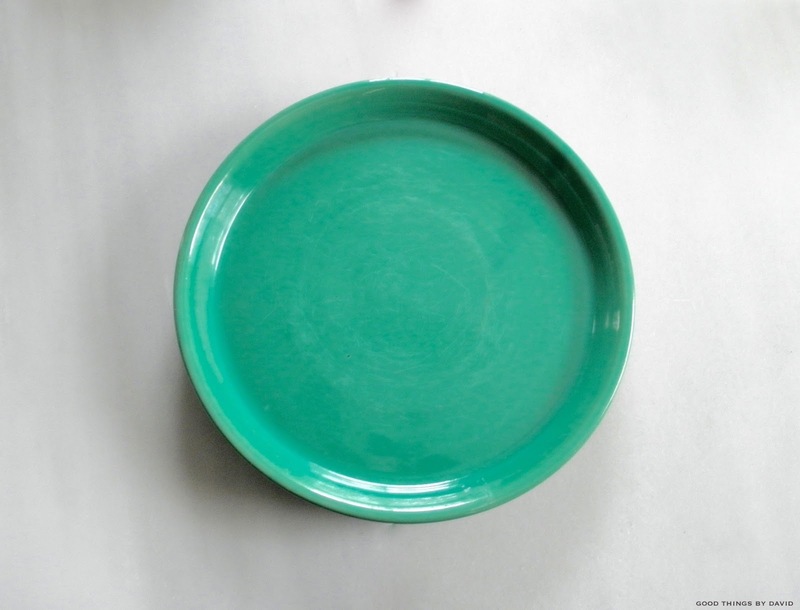 Being that they were both of the same proportions, shape and color, I immediately realized that I had early pieces of Bauer ware ceramics from the Los Angeles pottery works. I won't tell you how much I paid (sticker shock, believe me), but as I was being rung up and chatting with the owner of the antique shop, I knew that I was absolutely mistaken with my assumption that these were originally used as platters. 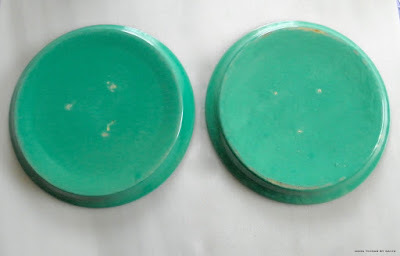 It turns out that Bauer Pottery made these to use as pot saucers, which presumably had their original pots for planting any number of things. It makes sense! The wide diameter, the high rim to catch water spilling over from watering one's plants. 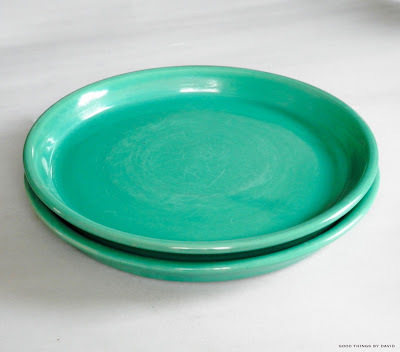 Having said this, I am still going to use these beautiful pieces of ceramic as platters or as cake plates in the future, because to my mind, they would be wonderful repurposed in this manner. If I hadn't told you that these were pot saucers, wouldn't you assume that they were platters or serving plates of some sort? 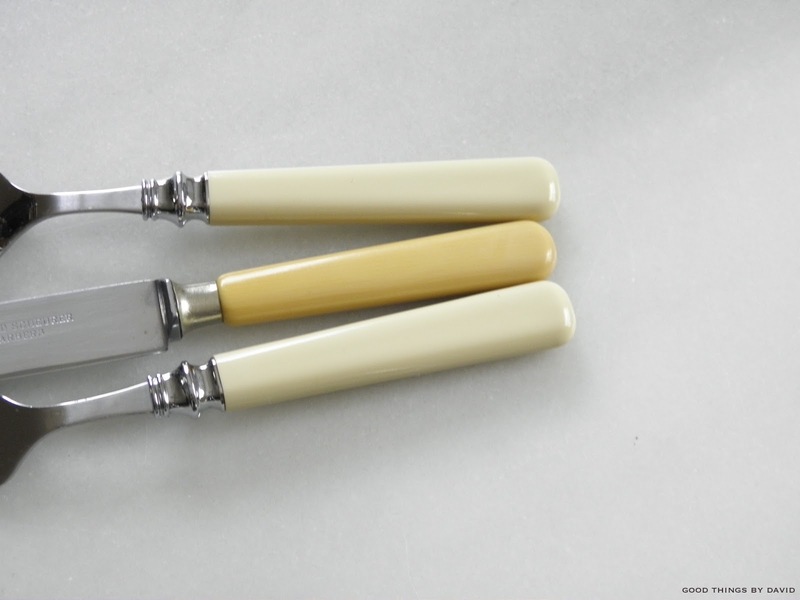 These French ivory celluloid knives were waiting for me. 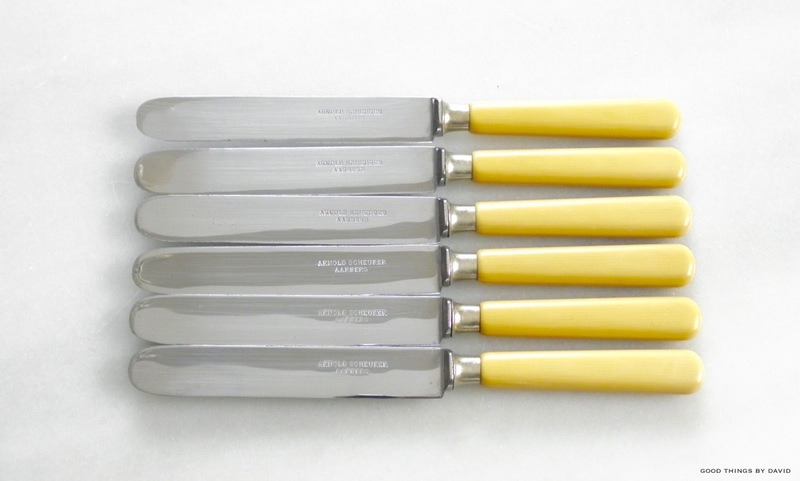 With perfect blades which showed no signs of ever having been used, the bolsters and celluloid handles seemed to be in excellent condition. I wasted no time in purchasing them at a good price. 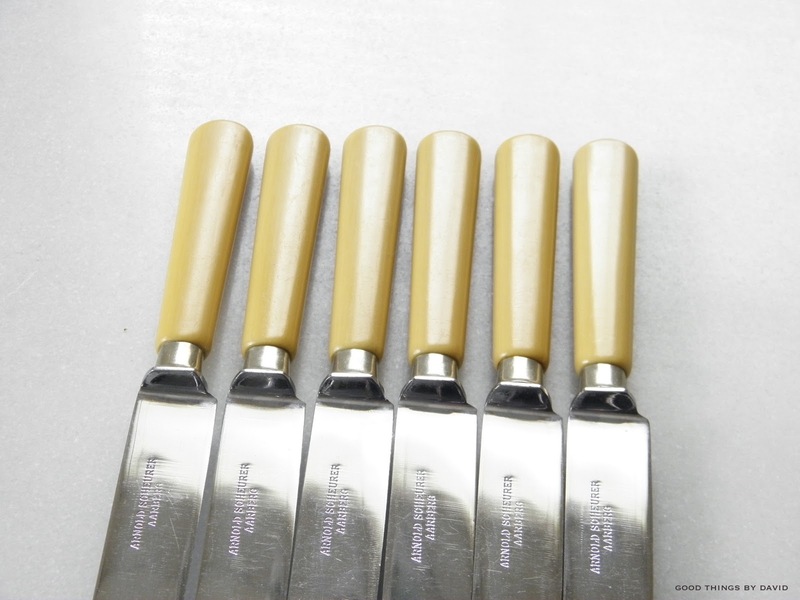 The stamp on the blades say, 'Arnold Scheurer Aarberg'. 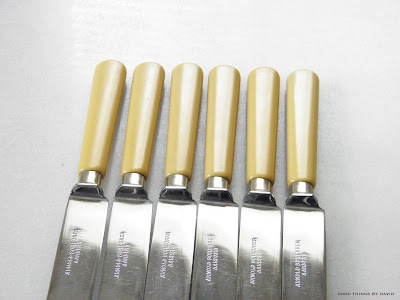 One of the things that I love about these knives, other than the classic European shape of the blades, is the squared-off blade guard which connects to the bolster. 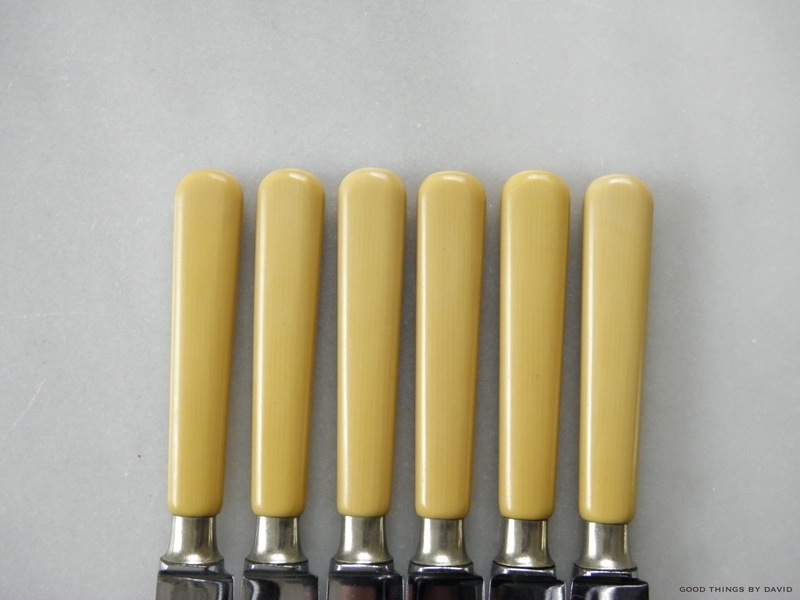 It helps rest the knives perfectly on a table without them wobbling. How can you tell if the flatware pieces are French ivory celluloid? When you look at the handles closely you will immediately see a series of lines running down the length of it. Here is a comparison of my inexpensive Martha Stewart Everyday Cottage flatware pieces next to one of the antique knives that I purchased. The color matching is way off, but they complement one another. I may use these two patterns together for my table, but then again I might just pair the knives with other pieces of vintage silverware. On a side note: my trips to California also have me eating more than my fair share of scrumptious foods from many great sources, so when I return home my body craves a small detox of sorts. Not only have I been enjoying hot lemon sips in the afternoons with those meyer lemons, but I've also been craving vegetarian dishes such as the one above. This is a typical lunch that I will make at home on any given day of the week. 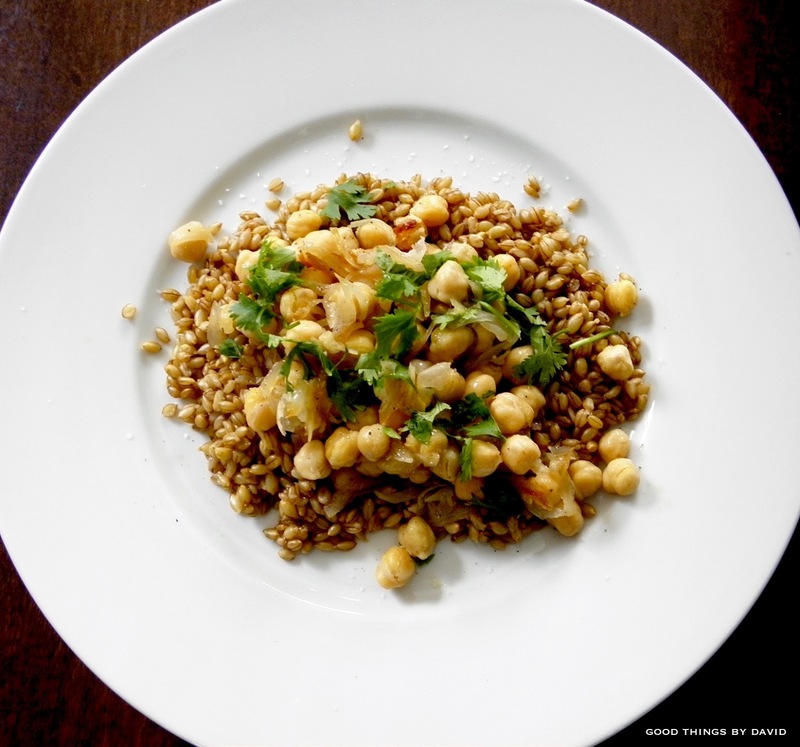 Hulled barley is one of those fiber-rich foods which are minimally processed. In fact, hulled barley has the most fiber of any whole grain and if you want to learn more about it, do an online search to get the facts. We like it because it tastes so good and because it fills us up. Served over this is a combination of cooked chickpeas and caramelized onions, sprinkled with herbs, salt and pepper. Easy, nutritious and a very healthy lunch, I feel so much better after eating a dish like this. Happy eats and happy shopping! Wonderful treasures! What I wouldn't give to be able to grow my own lemons. I'll have to talk David into a greenhouse! ha ha. I love the knives.. just beautiful.